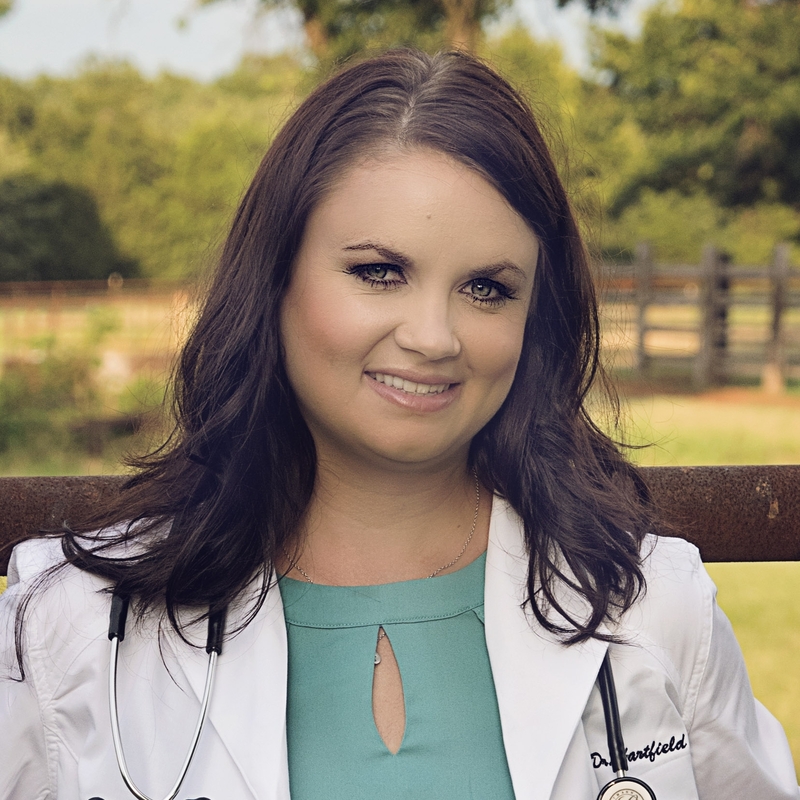 Dr. Rebekah Hartfield grew up riding and showing horses in Bridgeport, Texas. After reluctantly surrendering to her dream of being a veterinarian, and 11 years of school, she graduated with two associates degrees, a bachelor’s degree in animal science from Texas A&M and a doctorate of veterinary medicine from Oklahoma State University. Today she works at a large animal practice in Cushing, Okla., and lives on a ranch just outside of town with her husband, eight horses, 30 cows, two bulls, 20 dogs, three cats and one pig. Given Dr. Hartfield’s personal journey toward veterinary medicine and the shortage of rural veterinarians, she sees a need to educate, encourage and inspire the next generation of veterinarians. Out of this desire, The Doctor Hartfield book series was born. The books chronicle Abby, a young girl who lives on a farm, and Dr. H. as they examine, diagnose and treat various animals on Abby’s farm. The intent of the books is to help educate young children about veterinary care and practices while helping them better care for their pets. Additionally, Dr. Hartfield is an advocate for rural veterinary medicine and uses the books to highlight ranch and farm animals, like pigs and horses, to increase their exposure and interest in large breed animals. She hopes to spark an interest and desire in young children to help care for some of God’s largest, most lovable and vital animals. Her first book, Rosie the Pig was published in July 2017 with her next book, Pistol the Horse is due out summer 2018.